If you've heard this phrase floating around the marketing ecosystem, and it brought you here, that's a great sign. It means you're ready to start thinking big about how to reach your contacts at any point in their lifecycle — a tactic that can earn you customers and, over time, loyal evangelists. But what exactly is lifecycle marketing? And how do you "do" it? The simplest way to describe lifecycle marketing is to say it's one aspect of your marketing strategy that dictates the context of when you communicate with your prospects and customers, and how. Lifecycle marketing focuses on the entire customer experience, from first touch all the way through to customer acquisition and retention. Unlike other marketing tactics, it doesn't end after you make the sale. 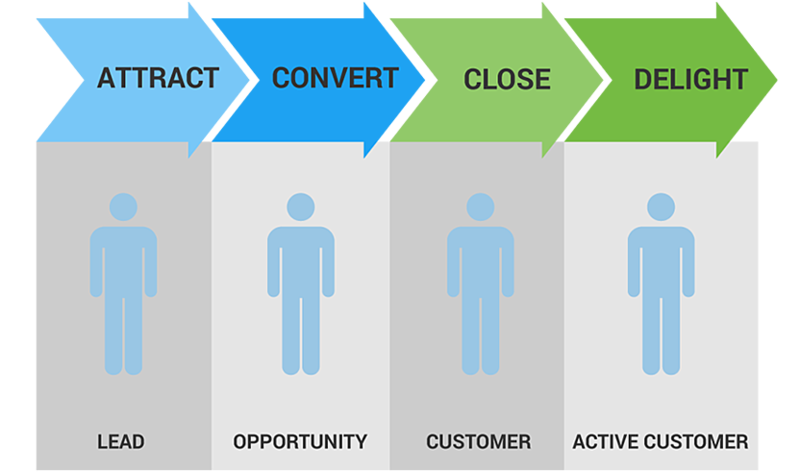 Lifecycle marketing is designed to nurture your relationships with prospects and customers based on their progression, meaning you must be aware of that progression. After all, you wouldn't want to send your customers emails that are meant for your prospects, right? Lifecycle marketing facilitates keeping each relationship's context front of mind. We use the email example because most often, marketers use email as the tool to execute on lifecycle marketing. But you can also use your website to carry out lifecycle marketing, if your functionality allows for smart content and smart CTAs. So, how do you separate your contacts in order to send them the right emails or provide them with the content that best corresponds to their stage in the lifecycle? Well, that depends on your automation platform. In HubSpot, "Lifecycle Stage" is a default property for your HubSpot Contact Records. You can change the stage within the tool, or allow it to change based on criteria you dictate in a Smart List, as well. Subscriber: Contacts who know about you and have signed up to receive communications from your periodically. In many cases, they've subscribed to your blog or a newsletter, but don't have much interaction with you. Lead: Contacts who have shown a greater interest in your organization than a simple subscription. Typically, this means they've filled out a form on your website, and given more than their email address, in exchange for a piece of content. Marketing Qualified Lead (MQL): Contacts who have digitally "raised their hands" to indicate they're ready for a conversation with your sales team. Traditionally, you should allow only specific forms to trigger the move to MQL status, such as a demo request, consultation or other BOFU offer. Sales Qualified Lead (SQL): Contacts that your sales team agrees are worthy of a conversation with a representative. This additional stage will keep your marketing and sales teams unified on the quality and volume of leads that are being generated. Opportunity: Contacts who have become actual sales opportunities in your CRM. Customer: I think you already know what this stage entails. Evangelist: Customers (contacts) who have become true advocates of your business. Though they're typically a smaller group of contacts, they can become a tremendous source of additional revenue through their invaluable referrals and promotion of your organization. As mentioned, a contact's current stage will change based on rules you create. Information about what content your contact has downloaded, for example, might be the deciding factor in moving them into a new lifecycle stage. But remember, lifecycle marketing is a way of thinking — a tactic, not a one-time execution. And if you get it right, and commit to the idea through time, your relationships with visitors will grow into relationships with evangelists for your brand. What's better than that?